We had already reported that Tamil superstar Suriya is teaming up with Vikram Kumar of ‘Manam’ fame for a supernatural thriller titled ’24’. The film’s pre-production work is going on at the moment and as per the latest reports, a whopping 4 crores have been shelled out to build a giant set in Mumbai. The film is expected to go on floors in the last week of March. After the grand success of ‘Manam’, director Vikram Kumar is in high demand and is being offered big ticket films with leading stars in both Tamil and Telugu. ’24’ is being made with a lavish budget and the script is touted to be highly exciting and innovative. 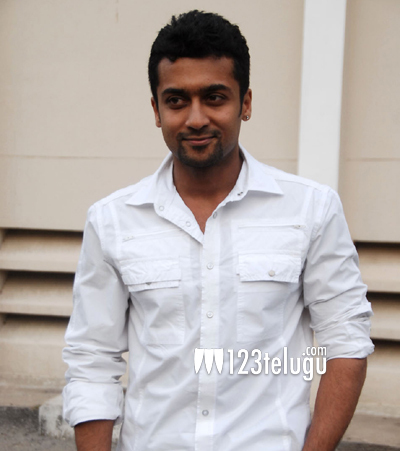 Currently, Suriya is busy shooting for ‘Masss’ and his home production, ‘Haiku’. Both the films are expected to release this May.